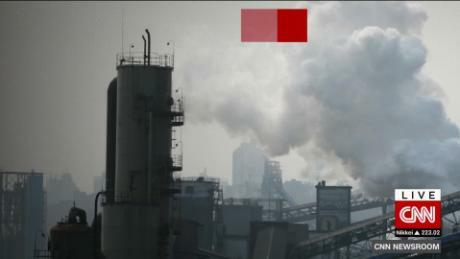 Hong Kong (CNN) Chinese methane emissions are rising at an alarming rate despite recent government regulations aimed at curbing the climate-changing pollutant, a new report has revealed. A boy who was lost in the woods says a bear kept him company. HONG KONG – Major tsunami struck China’s southern coast in 1076 causing “drastic cultural decline,” Chinese researchers say in a study with implications for a densely populated region that now boasts multiple coastal nuclear power plants. There is a growing body of scientific evidence suggesting that an earthquake in the Manila Trench sent a wall of water coursing into what is now China’s Guangdong province around 1,000 years ago. Now scientists believe they have narrowed down the date to an exact year — 1076 — and say the new data should set alarm bells ringing over whether enough is being done to defend against future tsunami. “Such risk should be considered in future planning and construction of nuclear power plant, harbor and petroleum reserve structures on the coastlines of China,” they added. 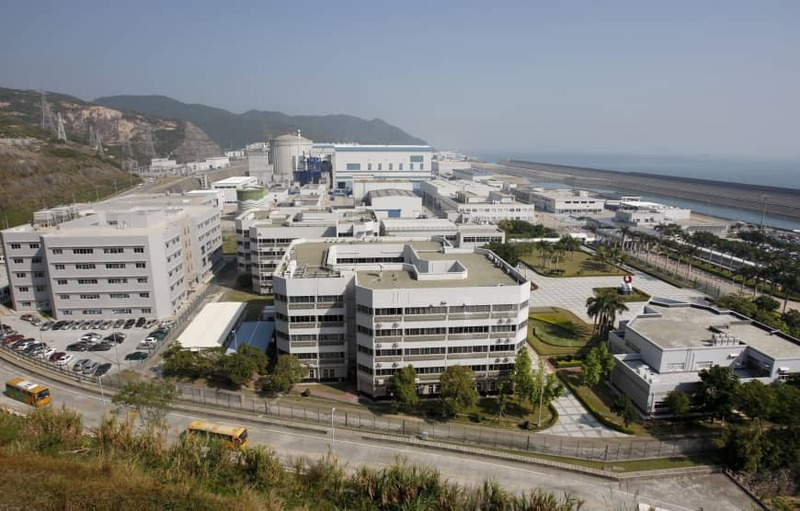 A number of nuclear power plants sit on China’s southern coast, including at Fuqing, Daya Bay and a soon-to-open plant at Taishan. The wider area is also one of the world’s most densely populated regions and includes multiple major coastal cities, such as Hong Kong, Macau, Xiamen and Quanzhou. The vulnerability of nuclear power plants to seismic events has become a major cause for concern ever since a 2011 earthquake and subsequent tsunami in northeastern Japan crippled the Fukushima No. 1 power plant, the worst nuclear disaster since Chernobyl. The Chinese research team first found evidence of a destructive historical wave on Dongdao Island, which is located in the middle of the South China Sea, in 2013. They discovered rocks and corals that had been moved about 200 meters inland from the shoreline and concluded only a major force of water could have achieved this. Another team found shards of ceramics in tsunami sediment from the Song Dynasty (960-1279) on the island of Nan’ao, some 250 km (155 miles) up the coast from Hong Kong’s eastern side. Researchers struggled to find any archaeological artifacts from after the suspected wave until the later Ming dynasty. They also found a shipwreck with 20,000 coins from around the time the tsunami might have struck. China takes more fish out of the world’s seas than the next five countries combined, in fleets underwritten by government agencies. In fact, China is collapsing the world’s fish stocks. 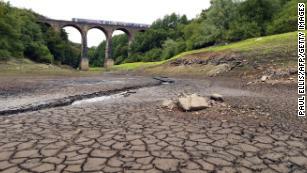 The fish populations that once abounded along the country’s vast coastline have now all but vanished. Nor is this scouring taking place only along the Chinese coastline. Today thousands of Chinese ships are trawling international waters from Guinea to Liberia and Senegal to Taiwan, Palau and Fiji and beyond to Chile and even beyond that, Chinese fishing vessels are scouring the seas for anything that swims, vastly underreporting their catches to the UN Food and Agriculture Organization. No one—aside from China—knows precisely what is going on in terms of fishing around their manmade islands in the South China Sea, but reports from the general region say that fish stocks are collapsing. Even China has acknowledged that the widespread destruction of coral reefs and the poaching of sea turtles. In fact, China believes that the South China Sea is its territory – its own saltwater lake, in essence, delineated by its 1948 “nine-dash line” – and it would be foolish to imagine that anything less than what has happened to the coastline along the Chinese mainland would take place down in its newly “recovered” ancient territory. In other words, this once ultra-rich fishery will soon turn into a wasteland, if it isn’t already. It’s not like the Chinese coast guard will allow foreign vessels to get too close. These aren’t simply enterprising, hard-working fishermen who are willing to travel far to earn a paycheck. This is a state-sponsored activity. In a nutshell, what we have here is state-sponsored poaching of the high seas and even into the Exclusive Economic Zones (EEZs) of sovereign nations, which has been causing scuffles to break out on the waves between foreign coastguards and Chinese poaching vessels. The thinking seems to be get it before it’s gone, or if we don’t catch it, someone else will, so poach it fast and get out of there. It’s not difficult to imagine that this sort of thinking and action leads to a highly negative feedback cycle in which the oceans are rapidly overfished with state support and soon virtually emptied out. You get a desolate modern Chinese coast, except spread across the whole world. In fact, in a part of the South China Sea still under the control of the Philippines, Chinese fishermen have been seen deliberately destroying coral reefs. This type of selfish thinking is going to lead to ecological catastrophe on a global scale in our oceans and seas. Who is going to do something about it? The WTO recently backed down on a stricter ruling regarding government fishing subsidies, and in response China’s state-funded Huanghai Shipbuilding Co. quickly built seven more tuna vessels. The United States and Canada might be able to keep Chinese vessels out of their EEZs, but how about West African nations? Chinese captains and boat owners like to target notoriously corrupt countries—many of which are located in West Africa—where they can easily make payoffs to corrupt officials. Traditional artisanal fishermen with small boats and nets cannot compete with state-sponsored Chinese poachers active in their homeland’s waters. While China has publicly vowed to reform its foreign fishing habits, and while some countries such as the Bahamas are pushing back against Chinese fishing in their coastal waters (the Chinese are in the Caribbean too), the overall trend is towards escalated overfishing. The situation has gotten so bad, so fast, that some start-ups are thinking that “lab fish” grown in laboratories might be the solution. And fishing “outposts” in foreign countries can have strategic and military implications as well, becoming bases and possible extensions of the military installations in the South China Sea. We see this in happening already in Vanuatu where Chinese is building military installations (they deny it, saying they are only fishing), and also in Fiji where Chinese spy vessels are docking while hundreds of Chinese fishing boats are clearing tuna out of Fijian waters and everything else that swims. With major military outposts in the South China Sea and now new ones sprouting up in small South Pacific nations, and with rented islands in the Maldives, 99-year leases on the Cambodian coast, debt-trap acquisitions in Sri Lanka and Pakistan, it would seem that China has everything except the North Atlantic. It’s difficult to imagine that this is all a grand coincidence and not part of a secret strategy to get a stranglehold on the world’s seas, empty them out easily by backing up fishing vessels with “coast guard” ships from rented ports and artificial islands, and overfish it all until everything is gone. That certainly seems to be the direction we’re heading in, plan or no plan. For millennia the high seas were like gargantuan, boundless protected areas simply because refrigerated, long-distance fishing vessels didn’t exist. There would be no point in sailing a week out into the middle of the Pacific when everything would rot by the time you got back to port. But that’s all changed now, of course, and in addition to out-of-control overfishing, largely by the Chinese but also substantially the Taiwanese, ocean-going vessels also dump massive amounts of plastic and other waste into the high seas. In fact, it is predicted that by 2050 there will be more plastic than fish in the worlds’ oceans. Who is going to be out there to patrol all of this? And this article didn’t even touch on the forced labor and outright slavery that constitutes the dreadful working conditions many “fishermen” find themselves tricked or coerced into. Is there any solution? It’s hard for me to imagine it. Perhaps countries need to take a tougher stand and, like Indonesia, blow up foreign fishing vessels and make a public display of it in order send a strong signal to foreign poaching fleets. My guess is that only drastic measures will work. Earlier this year while on an evening flight from Kuala Lumpur to Taipei I looked out the window down at the South China Sea and I had to blink, remove my glasses, rub my eyes, and take another look. Which city was this that we were flying over? Wasn’t this supposed to be a large body of water? A sea? There were so many lighted fishing boats (probably going for squid) down below that it looked as if we were passing over a sprawling city. So many fuzzy white lights down below that for a while I felt as if we were in a spacecraft flying over the Milky Way. Is that the future of our oceans? Every inch of them being fished out every minute of the day, industrial-scale, non-stop? I don’t know for sure which country those fishing vessels hailed from, but if I had to make a guess, I know where I’d put my money. Gregory McCann is the Project Coordinator for Habitat ID and the author of the book Called Away by a Mountain Spirit: Journeys to the Green Corridor. You can support his conservation projects in Cambodia and Sumatra here. BEIJING—A rare public confrontation between the top U.S. and Chinese diplomats marked a new level in the worsening relations between the world’s two biggest economies and risked complicating an anticipated summit meeting between President Trump and North Korean leader Kim Jong Un. Secretary of State Mike Pompeo exchanged testy words with Foreign Minister Wang Yi in Beijing on Monday at a critical moment for U.S.-China relations, with trade negotiations stalled, military talks halted and both sides blaming each other for a recent close encounter between their warships in the South China Sea. The exchange followed a major speech last week in which Vice President Mike Pence outlined a shift in U.S. strategy from engagement to confrontation with China, accusing Beijing of undermining American interests on several fronts, including meddling in U.S. elections. It also came as the U.S. presses China—North Korea’s main ally, investor and trade partner—to persuade Mr. Kim to abandon his nuclear weapons program. Mr. Wang began his meeting with Mr. Pompeo by accusing the U.S. of escalating trade friction, causing trouble over Taiwan and unjustifiably criticizing China’s domestic and external policies. “We demand that the U.S. side stop this kind of mistaken action,” Mr. Wang said. Mr. Pompeo also didn’t meet with Chinese President Xi Jinping, as he did in June during his first official visit to China as secretary of state. It was highly unusual for a visiting U.S. secretary of state not to meet with the Chinese president and to be publicly chastised by his host, said Daniel Russel, who served as the top State Department official on Asia during the Obama administration. “The confrontational approach that the Trump administration has taken is far more likely to cause China to dig in than to give in,” said Mr. Russel, who is now vice president of the Asia Society Policy Institute, a nonpartisan research center. “It will reduce the likelihood that the Chinese will make common cause over North Korea policy,” he said. China and the U.S. have overlapping interests in maintaining peace in northeast Asia and in an agreement that would denuclearize the Korean Peninsula. But there have also been differences between the two sides about how to go about it. China has long favored a more drawn-out and phased approach toward denuclearization than the Trump administration, which has argued in favor of a speedy denuclearization that might even be accomplished by January 2021, which would mark the end of Mr. Trump’s current term. There are some aspects of the administration’s policy that the Chinese welcome, such as the suspension of U.S. military exercises in South Korea. But the Chinese are also worried that the U.S. use a denuclearization accord to expand its influence into North Korea or that rapid change might destabilize Mr. Kim’s regime. Even before the tough exchange of words, the U.S. was complaining that the Chinese were not enforcing United Nations economic sanctions against Pyongyang with sufficient rigor. Monday’s frosty talks in Beijing came after South Korea’s president said earlier in the day that he expected Mr. Kim to soon meet the Chinese and Russian leaders, as Pyongyang courts support from its traditional partners. During the meeting, Mr. Wang said that Beijing and Washington needed a healthy and stable bilateral relationship to discuss sensitive matters like North Korea. His comments appeared to suggest that the U.S. shouldn’t take Beijing’s cooperation on North Korea for granted. Mr. Pompeo said he wanted to share details of his weekend visit to Pyongyang and to make sure that Beijing and Washington were working together to denuclearize the Korean Peninsula. He added, however, that he regretted that China chose not to hold the diplomatic and security dialogue—a supposedly annual meeting between Chinese and U.S. diplomats and military officials that had been due to take place in mid-October. As reporters were ushered out of the room, Mr. Wang said it wasn’t China’s decision to cancel the dialogue. In another sign of friction between the two sides, Mr. Pompeo didn’t hold a joint news conference with Mr. Wang. But in July, the U.S. complained publicly that Chinese and Russian firms were continuing to help North Korea important oil in excess of U.N. stipulated caps. Later, Chinese foreign ministry spokesman Lu Kang told a regular news briefing that he didn’t think tensions between Washington and Beijing would affect cooperation on North Korea. “A new order is being created on the Korean Peninsula,” Mr. Moon told a cabinet meeting, according to a transcript provided by the presidential office. North Korean state media has reported that a meeting among officials from China, Russia, and North Korea would be held. North Korean Vice Foreign Minister Choe Son Hui, who has participated in recent nuclear negotiations with the U.S., was in Beijing in recent days and was expected in Moscow to set up the meeting, North Korean media said. Russia confirmed that plans were being made through diplomatic channels for Mr. Kim to visit Moscow. Mr. Kim, whose trip to China in March was his first outside North Korea as leader, is likely to request support from Beijing and Moscow as he presses the U.S. for concessions in denuclearization talks. THE UNITED States have taken tensions with China to a new high by “asserting their right” to sail warships past disputed islands in the South China Sea. A guided-missile destroyer, USS Decatur sailed within 12 nautical miles (13.8 miles on land) of reefs near the Spratly Islands in the South China Sea, two US officials claim. China has asserted ownership of the Spratly islands, something which was hotly contested by the US officials as “excessive maritime claims”. Speaking to CNN, one of the officials said: “US Forces operate in the Indo-Pacific region on a daily basis, including the South China Sea. All operations are designed in accordance with international law and demonstrate that the United States will fly, sail and operate wherever international law allows. China has engaged in an ongoing dispute with the US over territorial control in the South China Sea. In 2015, the US began deploying military warships and aircraft to the region, in a bid to dismiss China’s territorial claims. Last week, on September 25, Chinese officials warned the UK to stay out of the conflict after Royal Navy Warships were spotted close to the disputed territory in the South China Sea. Tensions between China and the US have been steadily mounting on multiple fronts, as the two nations clash on military power, trade and cyber-warfare. 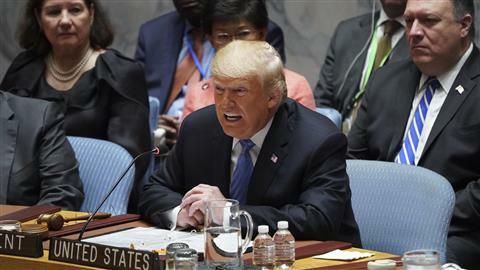 On September 26, US President Donald Trump accused China of meddling in elections with the intention of harming him personally. His comments came a week after his administration announced a 10% tariff on $200 billion worth of Chinese goods, which would eventually mean half the products China sells to the US would be penalized. US Secretary of Defence James Mattis told reporters at the Pentagon that the two nations would have to learn to manage their differences. Because plastic has been around only since the 1950s, there’s no way of knowing exactly how long it will last in the ocean. If left alone, the plastic could remain there for decades, centuries or even longer, Jambeck said. Researchers said 73 percent of deepwater fish in the North Atlantic Ocean had eaten particles of plastic, known as microplastics. That’s among the highest percentages ever found in fish on Earth, according to a recent study. And it’s not just fish or marine life that’s affected, it’s us: Rolf Halden, a professor of environmental health engineering at Arizona State University, said every human being in the developed world has traces of plastic constituents in his or her blood. The disease was first reported on August 3rd, when it was noted that 47 out of 383 pigs on a small farm in Liaoning, a province in the far north-east, had died. The virus has spread to five other provinces: Anhui, Henan, Heilongjiang, Jiangsu and Zhejiang. The authorities have stepped up inspections, shut some live markets, stopped the transport of pigs from the affected areas and culled nearly 40,000 swine. On September 5th the UN’s Food and Agriculture Organisation (FAO) held an emergency meeting of regional animal-health experts in Bangkok. The rapid onset of the disease in China and its spread to places 1,000km apart mean it could easily jump across China’s borders, says the FAO. A number of big rural districts with plenty of pig farms fall within the territory of Beijing, the capital. City officials say they are taking measures to screen them, check sanitation and impose quarantine. However, at several pig farms in Shunyi and Huairou districts, 60km north of Beijing’s city centre, workers said no special measures had yet been taken. One said he had never even heard of African swine fever, as the disease is known. The virus spreads easily between pigs, killing nearly all it infects. But health experts across the world agree that it cannot spread to humans, even through eating the meat of an infected pig. The Chinese, however, tend to mistrust official pronouncements on such matters, so the website of the People’s Daily, the Communist Party’s official organ, was widely mocked when its headline declared that everyone should be “at ease about eating pork”. Indeed, many assumed that something must be wrong with it. He Qinglian, an exiled critic of the party, said on Twitter that chefs should lay 100 tables on Tiananmen Square so that agriculture officials could publicly eat the pork of the infected pigs. Foreign observers are likely to be just as wary. 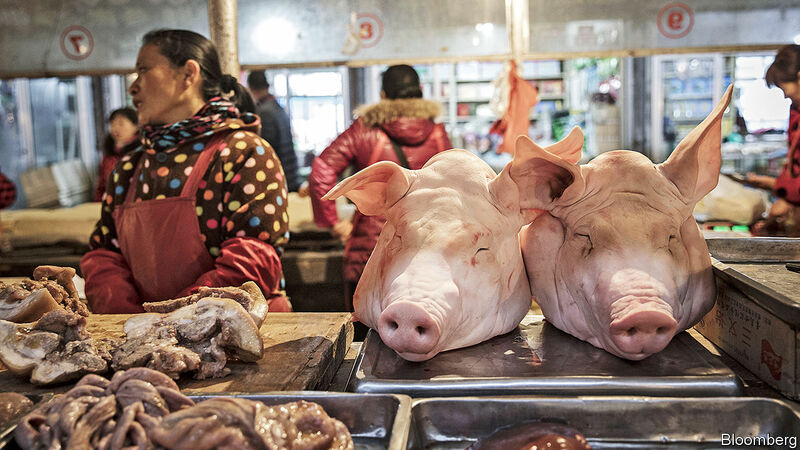 The Chinese authorities have a long history of dissembling about diseases that affect both humans and animals, including the SARS crisis of 2003 and an outbreak of another porcine infection, blue-ear pig disease, in 2007. In both cases China played down the severity of the crises and stonewalled inquiries from foreign governments and international agencies. 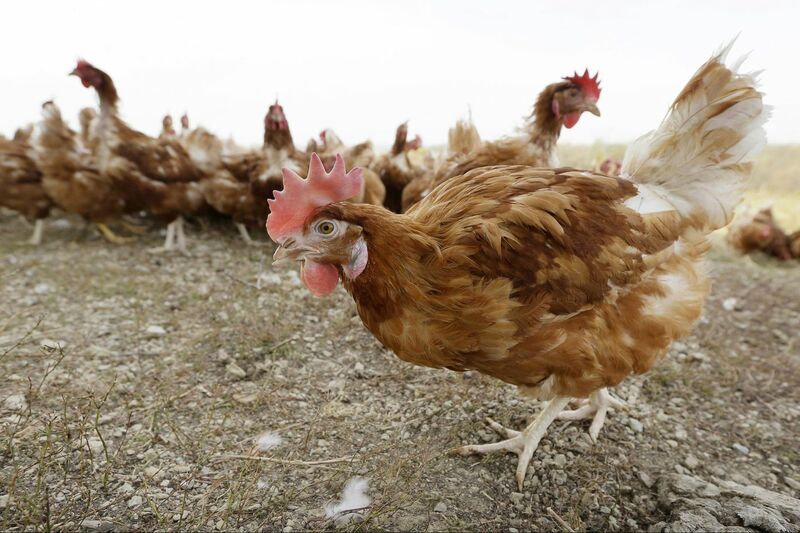 This year American health officials have accused China of violating agreements and withholding lab samples of another deadly disease, the H7N9 flu virus, which can infect both poultry and humans. Inflation now is at its highest rate in four months. The consumer-price index rose 1.9% in June and 2.1% in July. An editorial on September 4th in Caixin, an influential financial publication, said that Chinese history had taught “painful lessons about the dangers of inflation” and the government had “a rare time-window to prevent inflation from escalating”. The spread of African swine fever will not make it any easier to control. The timing is particularly awkward since the outbreak coincided with the much-vaunted Forum on China-Africa Co-operation, hosted by Xi Jinping, China’s leader, on September 3rd and 4th in Beijing, to win African hearts, minds and business deals. The last thing the event’s promoters wanted to see was the word “African” attached to a story about dying pigs. An official at Beijing’s Agriculture Bureau said the topic was “too sensitive” to discuss while the forum was under way and suggested that your correspondent find something else to write about.